Answer each of the following questions using complete sentences. 1. 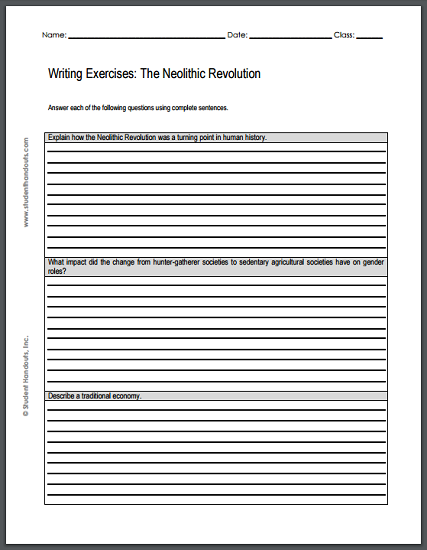 Explain how the Neolithic Revolution was a turning point in human history. 2. What impact did the change from hunter-gatherer societies to sedentary agricultural societies have on gender roles? 3. Describe a traditional economy.